I have never had a teacher like you who I connected with so well and who taught me everything that I was missing in such a short time. You have really inspired me to be the best that I can be, but not only that, you equipped me with the tools to do so. 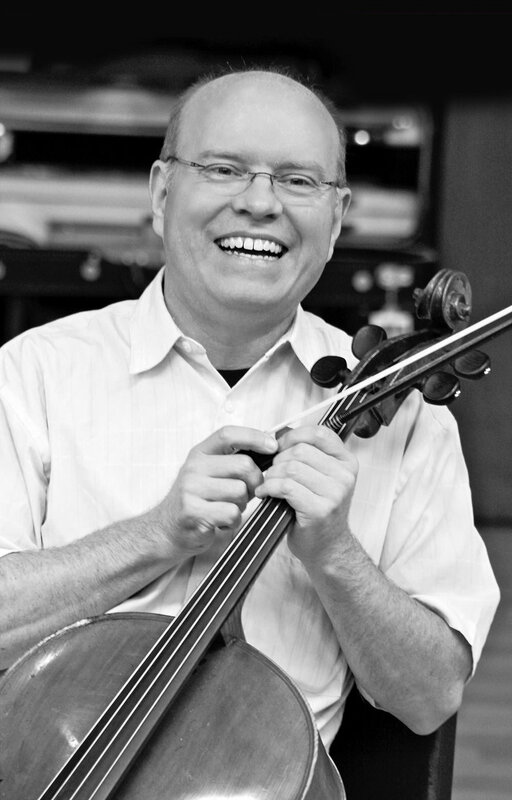 As Associate Professor of Cello at The Catholic University of America, Principal Cellist for 27 consecutive summers of the Aspen Chamber Symphony, and Artist Faculty at the Aspen Music Festival, Michael works alongside and guides his students daily. He is dedicated to each student’s educational success. 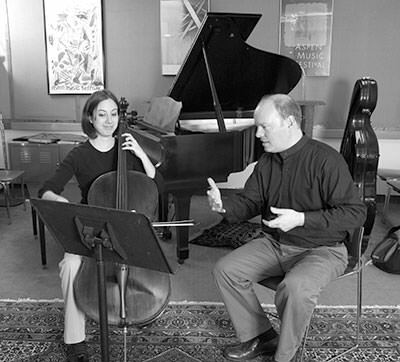 Many of Michael’s students are enjoying notable accomplishments including those as principal and section cellist in major symphony orchestras, faculty positions at universities, and careers as soloists and chamber musicians. In addition to his devoted work in studio teaching and masterclasses, Michael loves to present seminars and lectures that demonstrate the importance of the “cross-pollination of art with other subjects. 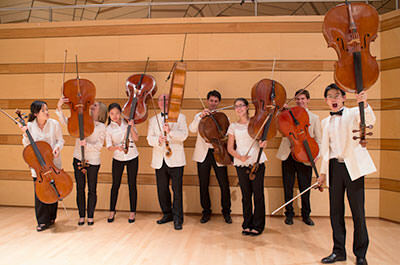 Doing so allows you to enhance your personal art by studying other arts.” Michael leads a variety of Educational Classes with the Aspen String Trio, most recently at the University of Baltimore, where they are Ensemble-in-Residence. These classes are called “Informances,” which are mini-concerts that incorporate performance and lecture/demo style information.